With 5 Tuesday's April 2019 offers a bumper crop of club nights at Kington Langley Village Hall. Whether you're wanting to go technical, or simply to have a chat there's something for everyone at Chippenham Radio Club, home of G3VRE. If you have a 70cm transceiver why not try the Kington Langley Allstar Gateway MB7AKL on 430.050Mhz CTCSS 118.8hz. It has good coverage around the club HQ and can provide some interesting DX QSOs. MB7AKL is operated and maintained by Club Chairman, Brian G6HUI. An enjoyable evening at G3VRE and a bumper turn out as well. All Committee posts were filled and new faces joining too. Great to see Chris M6WGS making his debut visit to Kington Langley after illness and marriage to Anh - well done Chris! 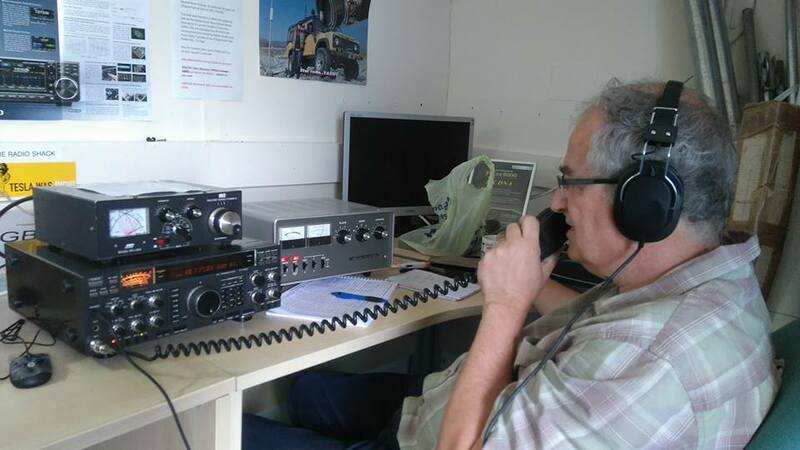 Members - look out for post AGM updates from the Secretary via your "in-boxes"
News just in from Jamie, and using just 50 watts and a combination of a Ground Plane Vertical/End Fed Wire, he has been active on HF over the last week and worked plenty of Europeans including F8HCM today (16/02/19) at 13:00 UTC on 40m and received a 5 by 7 report. A special mention for Merfyn Jones M0HWA who has been detained at the Royal United Hospital in Bath for all the right reasons. Merfyn has been heard on our Zello Channel but got in to trouble with the nursing staff ! Nice one Merf ! Get well soon from all of us at the Club, stay warm and hope to see you and Jenny again when you've recovered. If you operate mobile please take extra care on the roads. Leave that fist microphone alone and use a hands free system. When travelling to and from Kington Langley Village Hall please take extra care as the roads may not be gritted to any extent and also be very very careful in the Hall Car Park on a Tuesday evening. In order to put the interests of our club members first, the Club's Facebook Group " Chippenham Radio Club G3VRE" is now only accessible to Club members (i.e those who have paid their membership fee). For those of you who are disappointed by this decision please consider joining the club and this and many other benefits will be unlocked for you. The Club's For Sale and Wanted Facebook Group has also been retired. Adverts or requests for kit can now be made on our Members only Facebook Group which as mentioned above is part of your membership. We will continue to have a Public facing Facebook Page which non members can search for and see. This only provides limited information about the club and not the interaction you can get from Club membership Facebook access. Membership is just £10 per year. There's just a few spaces left on the Club's mini-bus trip to the Harwell Rally in Didcot on Sunday the 10th of February. Those of you who have pre-booked your seats please assemble at the Club HQ in Kington Langley for an 8.30am pick up. Warm wishes to all our club members for a very happy new year from the Committee.